Near the northeastern corner of Borneo, the small islands of Mabul and Kapalai are the gateway to spectacular diving. Top of the list is Sipadan Island Marine Reserve, where coral-covered walls rise 2,000 feet from the sea floor to attract vast numbers of green and hawksbill turtles, massive schools of barracuda and jacks, and a range of big pelagics from mantas and hammerheads to the occasional whale shark. Mabul is known for its muck diving and extensive invertebrate population and the unique water village of Kapalai holds resident mandarin fish. This pairing of large and small make Malaysia one of the most intriguing dive destinations in the world. Dive tourism in Malaysia centers around the state of Sabah on the northeastern edge of Borneo. Most famous is the small island of Sipadan, where steep walls rise from the deep water. A number of other islands in the area offer coral reefs, muck diving and big animal encounters. Coastal bays hold a rich diversity of macro life, while deeper waters hold swirling schools of trevally, pacific barracuda, hammerhead sharks to manta rays, and even the occasional whale shark. Kapalai and Mabul provide an abundance of weird and wonderful macro creatures, and Layang Layang atoll is one of the few places in the world where divers can witness schooling hammerheads. Water temperatures range from the high 70s to low 80s. Prepare for the steady currents that wash sites on Sipadan and Layang Layang by streamlining your dive gear and carrying a surface marker and compact deployment reel in case you become separated from the group. Pack a muck stick for shallow-water macro sites, and practice horizontal trim and no silt fin kicks. Sipadan for its walls, green sea turtles, schooling fish and sharks. Staghorn Crest reveals a mellower side of the island, with gardens of staghorn corals covering a gentle slope. Kapalai’s Mandarin Valley has an abundance of invertebrates in addition to the resident mandarin fish, and the sandy slopes of Mabul crawl with tiny finds like hairy squat lobsters and porcelain crabs. Hammerheads gather at Shark's Cave, and Layang Layang also offers relaxing fish watching at sites such as Wrasse Strip. A skin suit to 3mm wetsuit. Surface marker and reel. Muck stick and compact light for muck diving. As with all tropical destinations in the region, check on advised vaccinations and a booster before travel. KAPALAI - DIVE PACKAGE includes 7 nights accommodations, 3 boat dives daily, unlimited house reef diving, breakfast, lunch and dinner daily including tea, coffee and water, roundtrip airport and boat transfers, hotel tax and service charges. Valid through 3/31/20. *Semporna Jetty fee not included. MABUL - 6-NIGHT DIVE AND ADVENTURE PACKAGE includes 4 nights accommodations at Borneo Divers Mabul Resort including breakfast, lunch and dinner daily, 3 days of 3-tank boat dives, unlimited house reef divers, 1 night accommodation at Bilit breakfast, lunch, one afternoon cruise along the Kinabatangan River to encounter 10 species of primates, 8 species of hornbills many other types of wildlife, one early morning river cruise to the Comantong Cave to explore the largest limestone and bird nests cave in Sabah, roundtrip airport and boat transfers, 1 night accommodation at Sepilok Nature Resort including breakfast, lunch and dinner, Oran Utan Rehabilitaion Centre and tour the lowland forest trees, city tour including a visit to Sandankan Memorial Park located nest to the POW camp. Visit a Buddhist Temple, the oldest church in Sabah, visit the Agnes Keith Museum, ground transfers, hotel tax and service charges. MABUL - DIVE PACKAGE includes 7 nights accommodations, 3 boat dives daily, unlimited jetty house reef dives, 3 meals a day including coffee, tea and juice, roundtrip airport and boat transfers, hotel taxes and service charges. Additional package lengths are available. KAPALAI - PACKAGE includes 7 nights accommodations, 3 boat dives per day and unlimited house reef dives, all meals, all land and sea transfers, hotel tax, and service charges. Daily Sipadan dive permits additional. 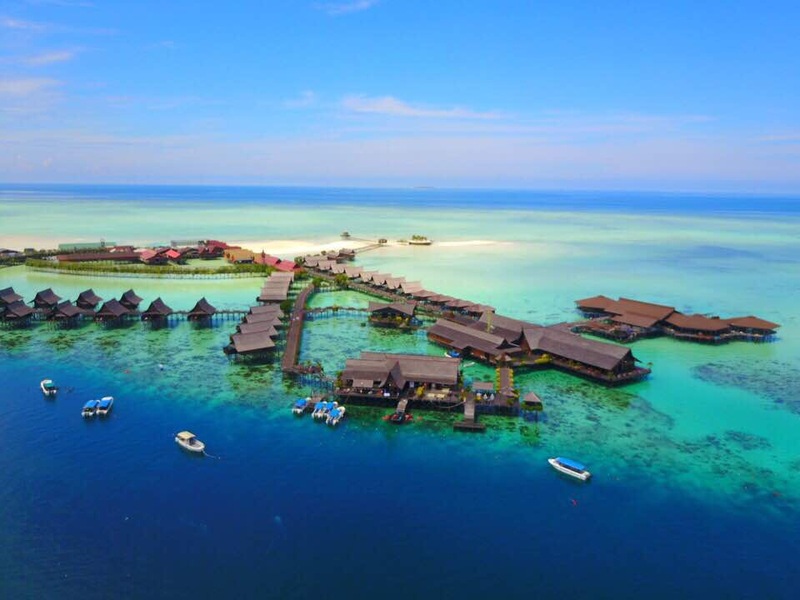 MABUL - DIVE PACKAGE includes 7 nights in a water bungalow (air-conditoned if available), 3 boat dives per day and unlimited house reef dives, all meals, roundtrip airport and boat transfers, hotel taxes and service charges. Sipadan dive permits additional. TIOMAN ISLAND - Recognizing the demand for a higher standard of accommodation on the island, B&J Diving Centre has built its own Tioman Dive Resort to offer our customers not only spacious rooms and all the amenities for a luxurious stay on Tioman. 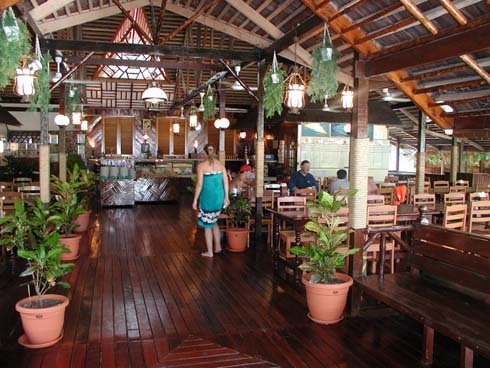 Tioman Dive Resort was built in 2012 and extended in 2014. A small, cozy resort with just 11 secluded rooms available to diver and non-divers alike. MABUL - Stay at Borneo Divers Mabul Resort on your scuba diving vacation with easy access to both shore and boat diving and experienced dive guides to point out unusual creatures. KAPALAI - Located only few minutes by boat from world renowned dive sites of Sipadan, this overwater resort comprised of “water chalets” sits on sturdy stilts above the sandbanks of the Ligitan Reefs in the Celebes Sea. Meals are served in the open-air central structure which includes a sundeck where divers can enjoy a drink and after-dive chats during a fabulous sunset. MABUL - Sipadan Water Village offers superb diving combined with the comfort of a top-notch dive resort. Built entirely over-the-water and surrounded by coral, white sand, and spectacular marine beauty, each room is an individual bungalow with a private balcony. On the northeastern corner of Borneo Island, the Malaysian state of Sabah juts eastward to meet the Sulu Sea. These waters are recognized as one of the most bio-diverse marine ecosystems in the world. Here divers will discover a range of underwater landscapes that are home to creatures both large and small. Sites include towering walls that rise from the open water to attract turtles, sharks and schooling pelagics; coral slopes and grottoes that harbor colorful collections of reef fish; and silt-laden shores that hide a menagerie of the small and unusual. Many consider the island of Sipadan to be the crown jewel of Malaysian diving. This tiny speck of green is surrounded by shallows that drop abruptly to depths of 2,000 feet. These undersea cliffs become gathering points for schools of bump head parrotfish, bigeye trevally and barracuda, which can shoal up in thousand-fish formations. Sipadan is also a gathering place for hawksbill and green sea turtles, and it's not uncommon to see a dozen or more on any given dive. Eagle rays and white tip sharks are seen on almost all sites, gray reefs congregate in deeper water, and there are chance sightings of mantas or a whale shark. Divers who take a closer look among the hard and soft corals that cover the walls will also discover an intriguing collection of smaller creatures. Currents can range from mild to exciting, and visibility can soar well past 100 feet. One of the more intriguing dive sites at Sipadan is Turtle Cave, where, at a depth of 60 feet, a tunnel leads into branching passages that go under the entire island. Most divers take a peak but don't venture into the dark labyrinth, which holds the skeletal remains of turtles who lost their way and then perished. Sipadan Island is now a protected marine park, with access limited to a maximum of 120 divers a day. Visits to the park begin at resorts on nearby Mabul and Kapalai islands, which are a 20 to 30-minute boat ride away. 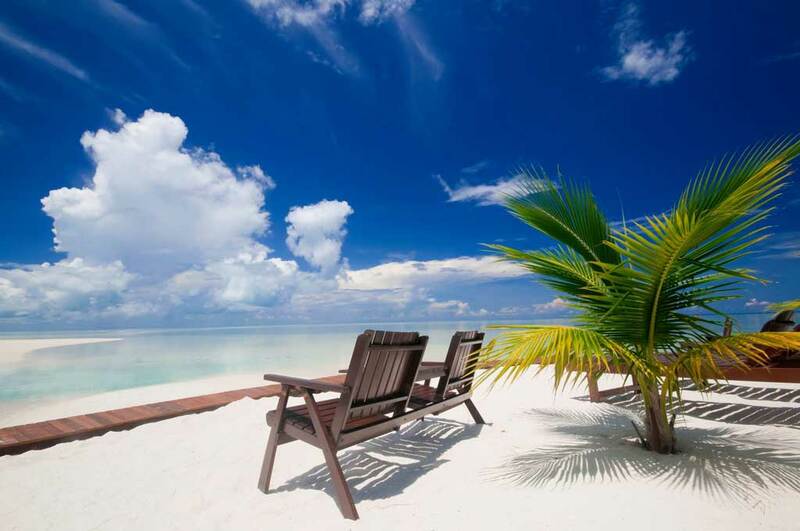 Pulau Mabul is a small sandy island with coconut trees and a local fishing village. Much more than a jumping off point for Sipadan, Mabul has earned a reputation as a muck diving mecca. Sandy and silty seabeds, coral outcrops, small walls and artificial reefs and jetties harbor a treasure trove of life. The broken landscapes are prime hunting grounds for cephalopods, including flamboyant cuttlefish, blue-ringed octopus, mimic octopus and bobtail squids. Mabul also overflows with crustaceans, from harlequin shrimp, mantis shrimp, and cleaner shrimp to hairy squat lobsters, spider crabs, porcelain crabs, and more. Keen-eyed divers will find giant, painted, and clown frogfish, along with other ambush predators such as leaf scorpion fish, dwarf lionfish, and crocodile fish. A survey of the bottom will reveal stonefish, stargazers, devil scorpionfish, and flying gurnards. Pipefish are common and tiny pygmy seahorses await discovery. Nearby at the over-water village of Kapalai, colorful mandarin fish perform intricate mating rituals among the pilings, mimic octopus, ghost pipefish and wasp fish lurk in nearby rubble fields. A short swim away, reef slope drops to open water, and a collection of small wrecks adds interest. Other prime diving areas around Sabah include the Tun Sakaran Marine Park, which is home to the nomadic Bajau Laut sea gypsies and offers year-round diving on coral-covered dropoffs, slopes and plateaus. Well to the north, the offshore atoll of Layang Layang is known for near-pristine reefs and seasonal aggregations of schooling hammerhead sharks. In addition to this big-ticket draw, the waters of the atoll offer wrecks, macro life and resident blacktip reef sharks, marble rays, bamboo sharks and leopard sharks. Also on the radar is scenic Lankayan island, which is gaining a reputation for the appearance of whales sharks from March to May. U.S. Citizens need a valid passport for entry into Malaysia. The passport must be valid for 6 months beyond the date of entry into the country and must contain at least 1 blank page for entry stamp. No visa is required or stays less than 90 days. Exit Requirements: There is an International Departure Tax which varies based on your departure terminal and destination. It should be included in your international airline ticket. Although vaccines are not required for entry into Malaysia, you should check with your doctor and the Center for Disease Control for vaccinations currently recommended for travel to Malaysia at www.cdc.gov. Electric supply is on a 230-240V - 50 Hz system. An adapter will be needed for U.S. electronics. If your appliance is only rated for 110-120V input, you may also need a transformer converter to step down the voltage. The sockets use 3 flat pin plugs in a T-Shape. The country code is 60. check with your cell phone provider to see what international plans are available to include text, data and voice. Many hotels offer WiFi. Tap water in most Malaysian cities is generally considered safe to drink, but it is still advisable to boil water before drinking or to drink bottled water. Local bottled mineral water such as spritzer, come from a deep aquifer that has been studied for purity by hydrogeologists. The official language of Malaysia is Bahasa Melayu or Malay. English is required in schools and widely spoken in larger cities. The local currency is the Malaysian Ringgit (MYR) and referred to with the symbol Rm and sometimes called the Malaysian Dollar. It is issued in denominations of 1, 5, 10, 20, 50 and 100 Ringgit notes. Coin denominations are 50, 20, 10, 5, and 1 sen (cents). Most international credit cards – Visa, MasterCard, JCB, American Express and Diner Club are widely accepted in the cities. A small amount of money can be exchanged at the airport. Then it is best to head to a money changer or ATM to get the best exchange rate. Malaysia is on Malaysian Time (MYT) which is 8 hours ahead of Greenwich Mean Time (+8 GMT). Daylight Saving Time is not observed in Malaysia. Malaysia is located in Southeast Asia bordering Thailand, Indonesia and Brunei. It shares water boundaries with Singapore, Vietnam and the Philippines. The nation also includes Sabah and Sarawak on the island of Borneo to the east which they share with Indonesia. 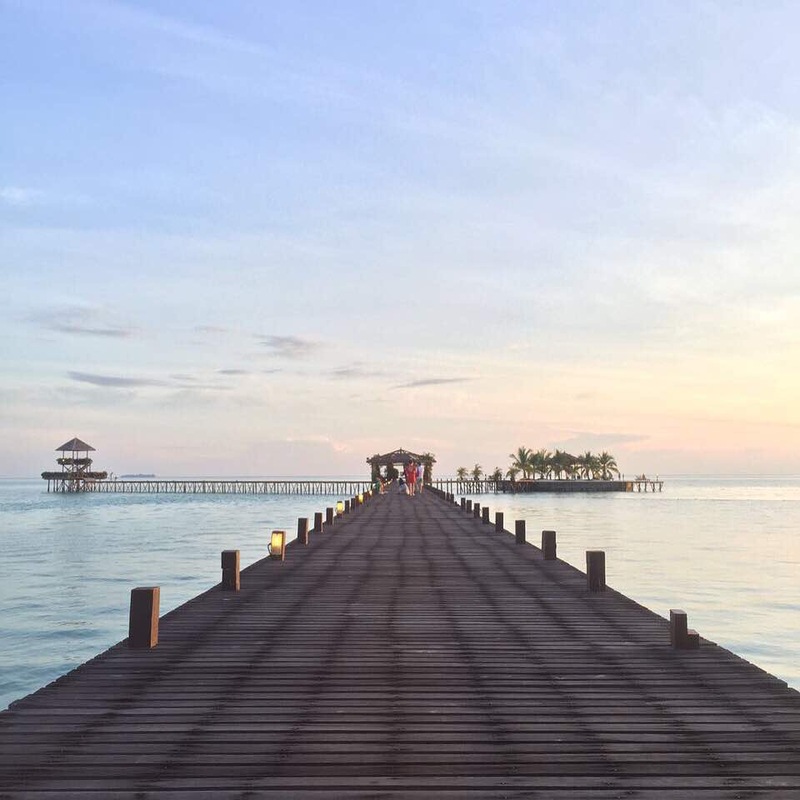 Located off the southeast coast of Sabah there are three islands which attract divers from across the globe, these are Pulau Sipadan, Mabul and Kapalai. 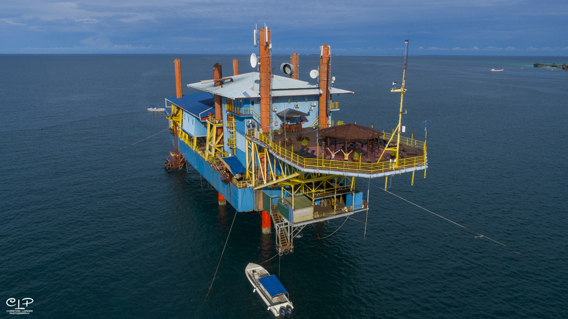 In 2004, the Government of Malaysia ordered all on-site dive and resort operators of Sipadan to move their structures out of the island by Dec 31, 2004. 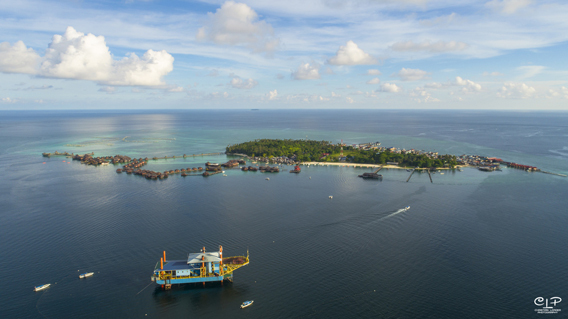 This move was mainly to conserve a balanced ecosystem for Sipadan and its surrounding reefs. Diving continues to be allowed in Sipadan for divers who are ferried in and out by dive and resort operators from the mainland and surrounding islands. 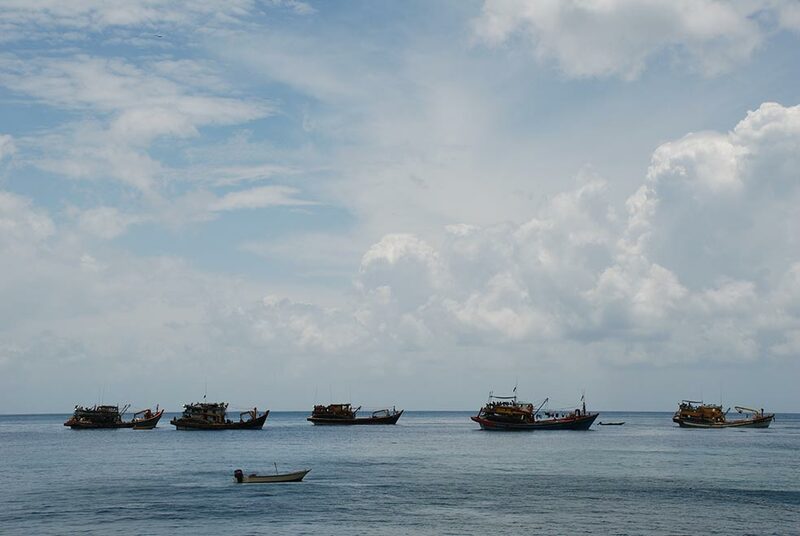 Divers are required to purchase permits to dive Sipadan each day which allows a limited number of divers daily and is regulated by a lottery system. A total of approx. 30 million people of which about 3.54 million reside in Sabah (2016).